Sandwell and West Birmingham Hospitals NHS Trust is an integrated care organisation. We are dedicated to improving the lives of local people, to maintaining an outstanding reputation for teaching and education, and to embedding innovation and research. We employ over 7,000 people and spend around £430m of public money, largely drawn from our local Clinical Commissioning Group. That Group and this Trust is responsible for the care of 530,000 local people from across North-West Birmingham and all the towns within Sandwell. 5,795 babies were born at our Trust. There were 191,497 patient attendances plus 31,627 attendances seen under GP triage at our emergency departments with over 40,570 people admitted for a hospital stay. 44,533 day case procedures were carried out. 517,431 patients were seen in our outpatient departments. Over 618,000 patients were seen by community staff. 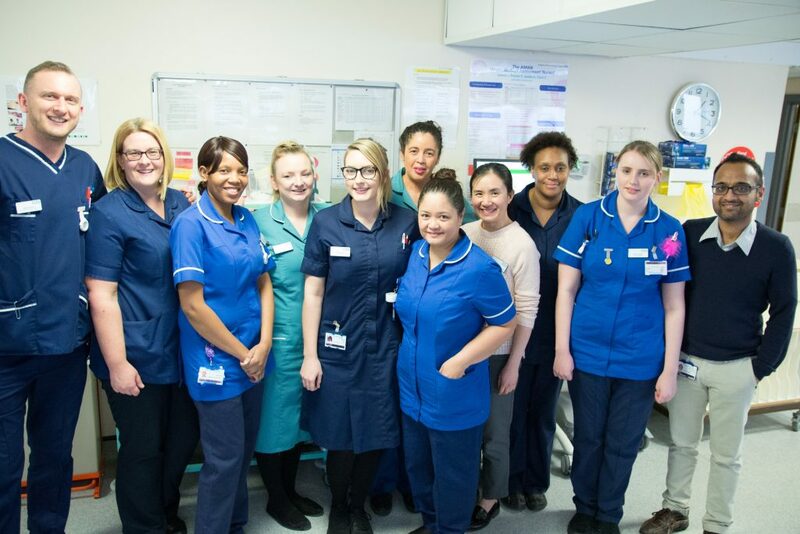 Our teams are committed to providing compassionate, high quality care from City Hospital on Birmingham’s Dudley Road, from Sandwell General Hospital in West Bromwich, and from our intermediate care hubs at Rowley Regis and Leasowes in Smethwick. 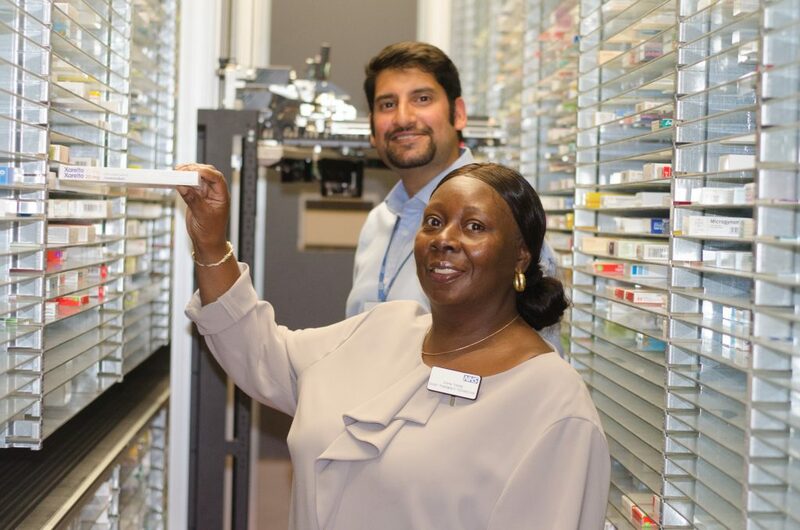 The Trust includes the Birmingham and Midland Eye Centre (a supra-regional eye hospital), as well as the Pan-Birmingham Gynae-Cancer Centre, our Sickle Cell and Thalassaemia Centre, and the regional base for the National Poisons Information Service – all based at City. Inpatient paediatrics, most general surgery, and our stroke specialist centre are located at Sandwell. We have significant academic departments in cardiology, rheumatology, ophthalmology, and neurology. 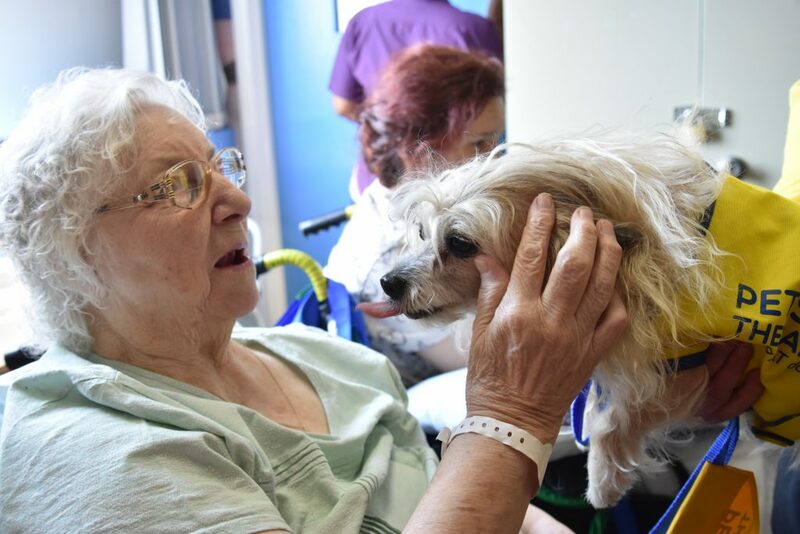 One of our stroke patients enjoys Pet Therapy, one of the many new initiatives that we carry out at our Trust. Our community teams deliver care across Sandwell providing integrated services in GP practices and at home, and offering both general and specialist home care for adults, in nursing homes and hospice locations. We are a key partner in efforts to change the shape of care in our area. Our new hospital – the Midland Metropolitan – is currently under construction and is located on Grove Lane, on the Smethwick border with west Birmingham. Our intention is to provide substantially more care at home and rely less on acute hospitals. Whilst most of the programme involves investment in GP surgeries and health centres, we will relocate our acute care to the Midland Met Hospital. The new hospital will act as a major employment opportunity for local people and is part of a wider scheme to develop the area adjacent to the site. Our training and education team, The Learning Works, are outward facing in sourcing the workforce we need for the long term. We have a very active programme of apprentices and school experience joint working. We are partners in the Sandwell University Technical College. More widely we work closely with Birmingham City University, Wolverhampton University, Birmingham and Aston Universities. The Trust Board is committed to developing ever more consistent links into our local communities, working with voluntary sector, faith, and grassroots organisations. The development of our governing body and the expansion plans we have for our charitable foundation will also reinforce this work. Chief Pharmacist Puneet Sharma and Chief Pharmacy Technician Divna Young with the Trust’s pharmacy robot. 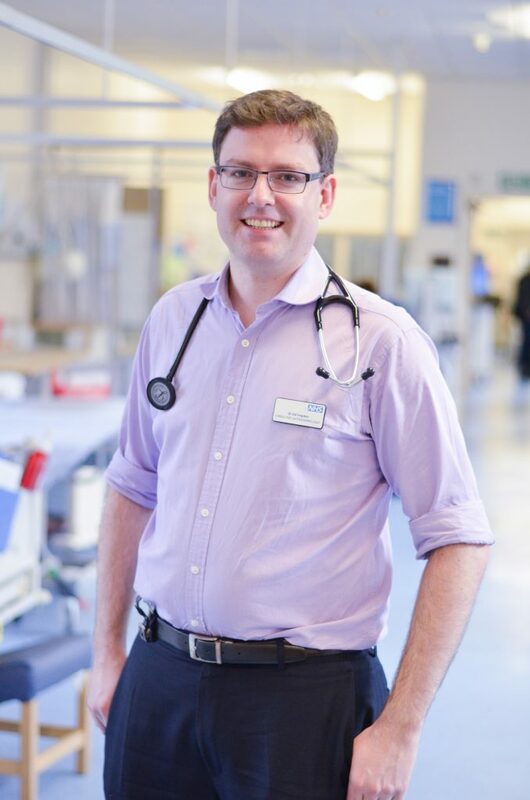 Over the next decade we will make major investments in three areas: In the skills and training of our workforce; in the technology we use to both care for and communicate with patients and partners; and in our estate – in part through our plan to build the Midland Metropolitan Hospital to rationalise acute care.